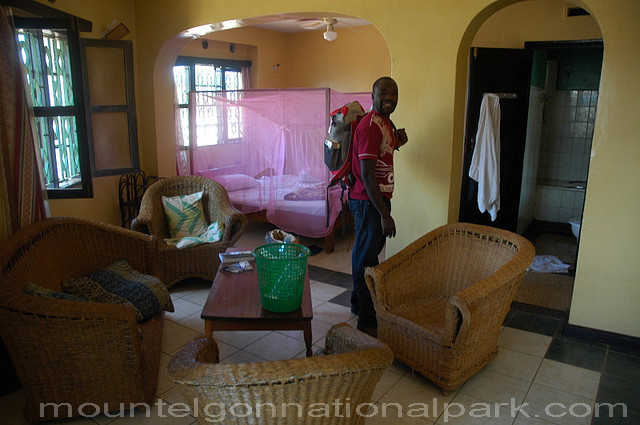 The long serving hotel is conveniently located in an annex, just across Kumi Road. It has the Tax Park, restaurant, bar, and internet .it offers clean and a table chair and similar-quality rooms using clean common showers. Bus horns will wake you before dawn but it’s worth it to be able to wander on to the rooftop balcony to enjoy the sunrise over mbale’s roofs cape and Wanale cliffs beyond. It offers large double rooms with secure parking, common showers, and rooms annex.